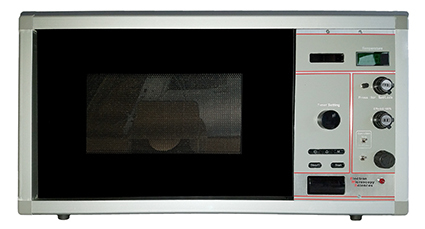 Employing microwave technology in your laboratory, especially in Histology labs, is a simple process and will improve your operation on multiple levels. 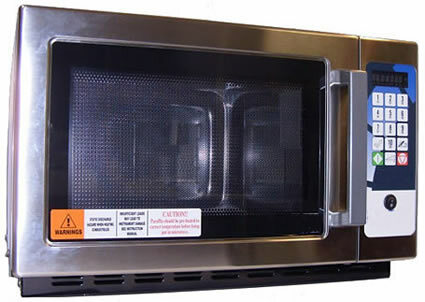 Whether you become an all-microwave lab or add microwave processing for stats, overflow, special stains and/or myriad other applications, you will find this line of laboratory microwaves to be the most efficient and versatile tool in your lab. Automation does not necessarily equal speed. 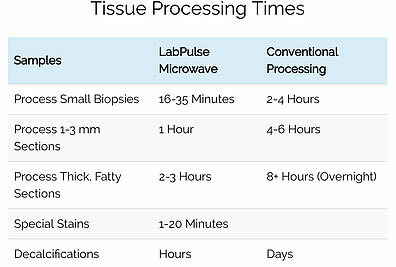 Microwaves process tissue far more efficiently and cost-effectively than any other Tissue Processor. 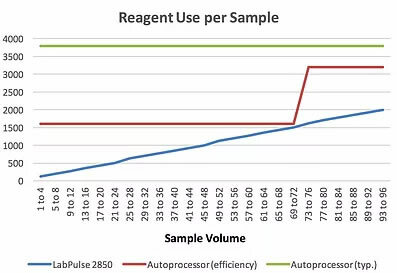 These are the fastest Processors on the market. 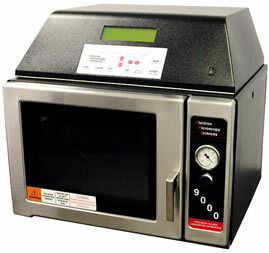 Process 74 biopsies in < 20 minutes. No other Tissue Processor even comes close. Fixed Small Biopsies: GI, prostate, cervical material, etc. 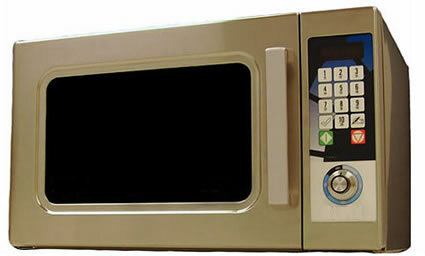 Microwave Processors perform the following critical lab functions, all in a fraction of the time required by conventional methods.